Update: Gears of War Ultimate Edition has also been confirmed for a PC release. Rod Fergusson appeared at the PC Gaming Showcase event to make the announcement, and confirmed that the PC version will support resolutions up to 4k and take advantage of DirectX 12. Original Story: At the Xbox E3 2015 Briefing event, Microsoft finally gave official confirmation of the remastered edition of Gears of War. 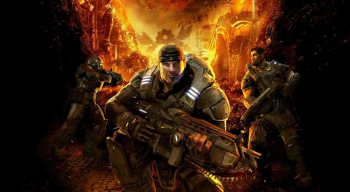 Franchise co-creator Rod Fergusson appeared to announce Gears of War Ultimate Edition. The game has been fully rebuilt in 1080p and multiplayer has been promised to run at sixty frames per second. A one-week public beta of the multiplayer will be available starting today. Gears of War Ultimate Edition will release on August 25.